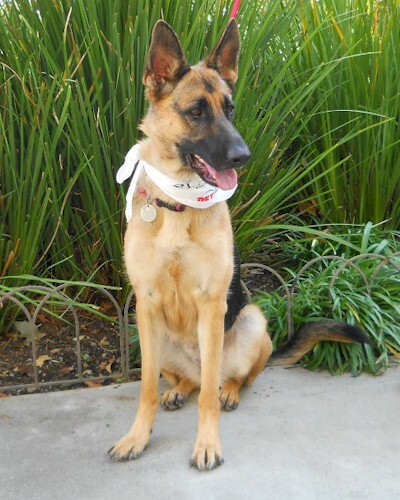 Maryjane is about as classic a German Shepherd as you can find. Incredibly intelligent, confident, high energy, loyal, loving, funny, playful . . .Oh, and did we say beautiful? Her classic good looks and graceful movement are a joy to behold. 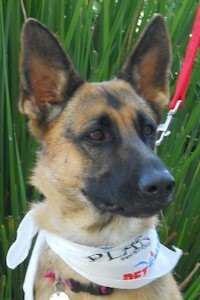 Give this 2 year old youngster the guidance she needs and she will become a fantastic family member. 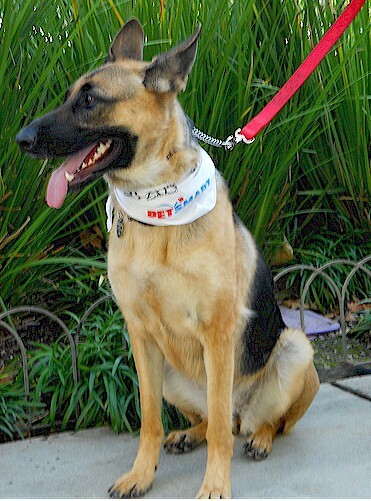 A little obedience training and consistent handling will turn this girl into a model citizen. Maryjane is housebroken, crate-trained, gets along marvelously with other dogs, loves going places and seeing new things, and meeting new people. Be careful though, she will slobber all over anyone's faces that happens to be at her eye level. Maryjane is a Rainbow Fund dog. She was heartworm positive when she came into rescue, her treatment is now complete. She spent 2 months under strict confinement and is now happily enjoying full freedom and play privileges.